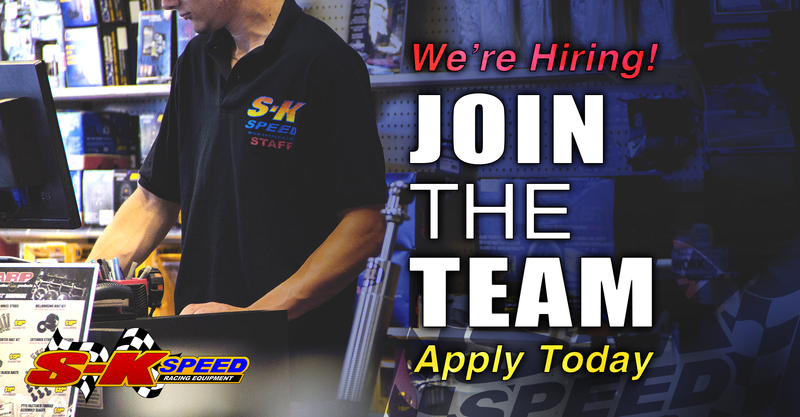 SK Speed Racing Equipment is looking for Sales Associates to join our team at our Lindenhurst super store! If you eat, sleep, and breathe fast cars this opportunity to start a career in the automotive performance industry is for you. Knowledge in automotive performance is a must. *Applicants may be subject to an "Automotive Aptitude Test"
Please fill out the form below with your Full Name, Email Address, Phone Number. Please paste your resume or include any relevant experience & qualifications in the Question/Comment field below.